I was looking for an program, which will be able to show JPS stereo-pictures on my Fire GL 1000 Pro graphics card. I did not found such software. The only one way how to activate the stereo mode of this card in some standard way is to use OpenGL commands. The big advantage of the OpenGL is, that it de facto standardized such an unusual thing like communication of graphic card with LCD stereo glasses and HW page flipping. The drawback of this was, that OpenGL stero drivers exist for NT4 only. Later I have written similar program whitch use SciTech MGL graphics library and whitch works under WIN 95 as well. JPS OpenGL Stereo Viewer is an program for viewing stereo images in JPS format (left and right image in one JPG file). If you have an graphics card with OpenGL drivers supporting stereo and LCD glasses, you will se the image in 3D mode. If you do not, anaglyph mode for red-blue glasses in implemented as well. JPS MGL Stereo Viewer does the same using SciTech MGL graphics lib. 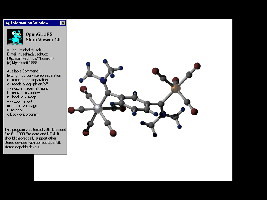 Graphics card with drivers supporting OpenGl stereo commands (PFD_STEREO in PIXELFORMATDESCRIPTOR and glDrawBuffer GL_BACK_LEFT GL_BACK_RIGHT) and WIN 95 or NT 4. The program was tested with Diamond Fire GL 1000 Pro, drivers for NT 4 and NuVisino 60GX glasses. If you do not have such an card the anaglyph and separated left/right images could be observed. Evry graphics card with VESA 2 or VESA 3 drivers and 8M mem. LCD glasses with DIN-3, paraler port, serial port or blue line code synchronization. Tested with WIN 95, ScitTech Display doctor 6.52 VESA drivers and hardware as above.